The Redwood S30 Soprano Ukulele is a superb soprano ukulele that has a bright character with excellent articulation. It is delightfully crafted to guarantee a sumptuous playing feel at a price everyone can take advantage of. The body back and sides are shaped from laminated zebrano, a tonewood that produces dark overtones due to its dense material properties. Zebrano generates tones with an emphasis on mid to low-end power, which gives the S30 a robust sustain. The body top is built from laminated spruce, which is a highly resonant tonewood that projects the timbre of the tonewoods with a high-level of energy. Laminate tonewoods are better equipped when it comes to handling changes in humidity and temperature, which means that the S30 is a brilliant travelling companion. The body is skirted by ABS ivory binding, protecting the edges from unwanted chips and nicks, as well as supporting the top from buckling or warping. Attached to the body is a sturdy neck that is married to a gorgeous hardwood fingerboard. There are 12 sweetly designed frets that provide a wonderful playing surface to navigate your fingers along, guided by the dot position inlays. Hardwood has been used in the construction of the bridge, due to its tough and resilient nature. By providing a seamless connection between strings and body, the bridge creates a reassuringly secure feel as you play. The nut supports the strings at the head to improve sustain and intonation, whilst the tuners uphold tuning integrity with absolute precision. The tonewoods have been finished with a slender and protective gloss, which allows the natural beauty of the zebrano and spruce to shine proudly. 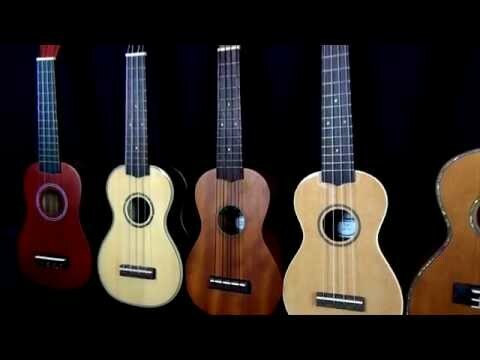 If you're looking for a fantastic sounding ukulele that has a unique, bright character, is very comfortable to play and travels well, then the Redwood S30 soprano ukulele is what you're looking for.